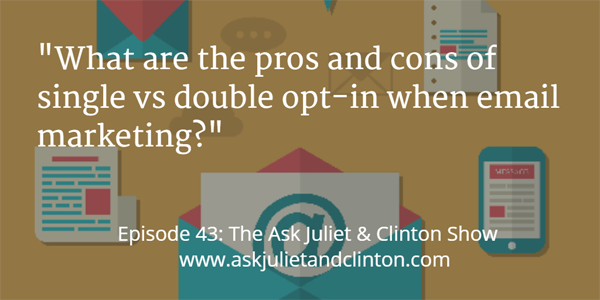 In episode 43, Juliet and Clinton discuss the pros and cons of single vs double opt-in when email marketing, how to avoid infringement of copyright laws when referring to other’s content, and how to set up an associate in a therapy practice. 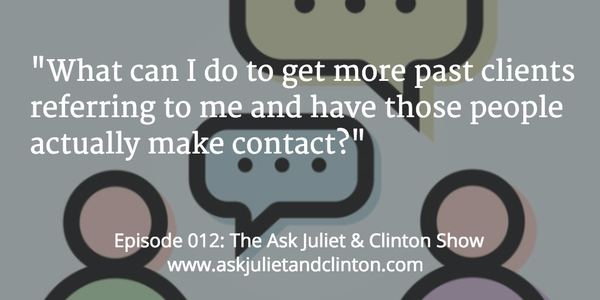 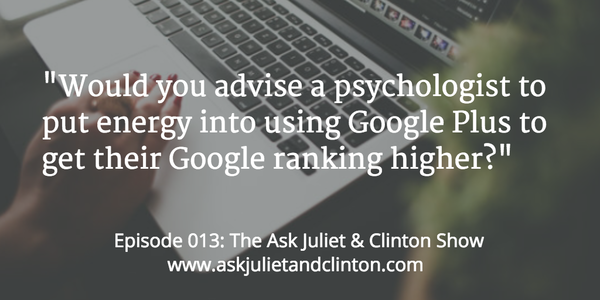 In this episode Juliet and Clinton answer questions about whether one should have a mentor to help them build their therapy practice or business, what to give away as a free offer, and whether it is realistic to earn money from an ebook or other product online. 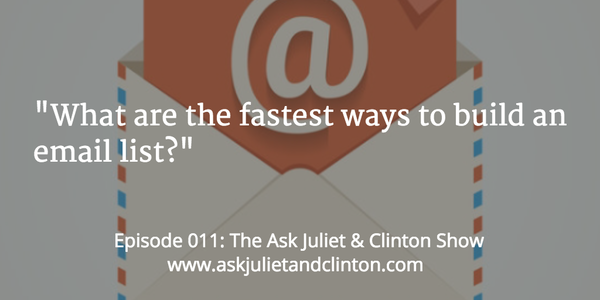 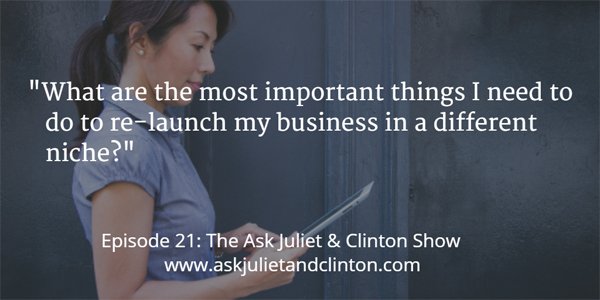 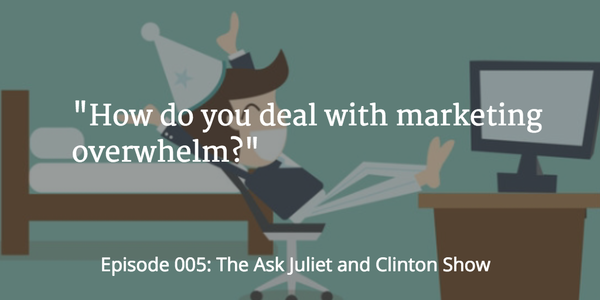 In this episode, Clinton and Juliet answer questions about whether it is a good idea to use Google plus as a way of boosting your search engine rankings, how to market a workshop without an email list, and what are the best online shopping carts for an ecommerce site where I can sell CDs.